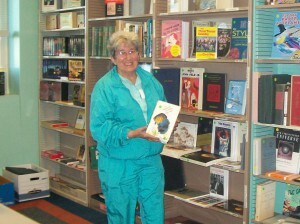 Friends of the Shaker Library welcomes gently used books for its ongoing and semi-annual book sales. Donations are accepted at the Main Library where you will receive a receipt for tax purposes. (Friends does not value the books, just certifies that a quantifiable number of books have been donated.) Due to the high cost of recycling and trash removal, we ask that you limit your donations to items we can sell and things that you would be willing to buy. Please pack books in strong bags or boxes. Those who require help in unloading books are asked to call ahead (216-991-2030) to make sure that someone is available to help. Because of space limitations, Friends does not accept records, magazines, or textbooks and reference books published before 2016. People interested in sharing their magazines may bring them to the Circulation Desk at either library for the bring-one-take-one magazine bins. Thank you for your support for the Friends of the Shaker Library.